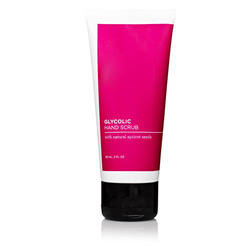 Being one of the renowned organizations, we have been able to offer a qualitative grade Surgical Hand Scrub. The offered hand scrub is widely used in medical institutions and hospitals. This hand scrub is precisely processed by our deft professionals using the qualitative grade chemicals and advanced processing techniques. We are the suppliers of all types of medical Hand Scrub. Available in different Varieties like Manicure & Pedicure scrub, Kesar face & body scrub, Aloevera face & body scrub, Gold face & body scrub and Glow face & body scrub. Available in 600gm and 120 gm packs. The texture of the scrub is very interesting. It's definitely based on shea butter but there is so much sugar packed in to make it a scrub that it almost crumbles in your hand. When you rub it on your skin you can feel the sugar scrubbing your skin, but at the same time the shea butter is literally melting in to your skin. - Handshield surgical Scrub has broad spectrum of activity. - Effective for scrubbing of hands before surgery. We offer Scrub Cream that contains Aloe Vera, which soothes the skin and removes dead cells. These are ideal for face, lips, hands, feet and hair. These creams have no side-effect and are smooth on the skin. These creams are also used for curing cracked feet and provide excellent healing power. We have been counted amongst the topmost names in this industry and are involved in providing a range of Herbal Hand Scrub. This Herbal Hand Scrub (Herbal Hand and Foot Scrub) is processed using premium quality ingredients and modern machinery. Offered products are duly tested for quality before shipping. The double exfoliation process lifts away dead cells to give the perfectly groomed look.